We launch wellness challenges with high hopes that employees will become engaged and participate. Unfortunately, the way wellness challenges are designed can doom them to failure before they even get started. Here are five pitfalls that can cause wellness challenges to fizzle out – and how you can turn them around so they’re successful. Pitfall 1: You’re playing to the wrong base. It’s tempting to design wellness challenges that cater to the 10% of your employees already engaged with health – the ones who already value workouts and eating healthy. But it’s the other 90% we need to attract and engage. The solution: Structure your challenge with different levels of success, giving everyone a goal to shoot for. Or, create multiple challenges – like encouraging healthy eating choices or reducing stress – so employees can pick one that suits them. 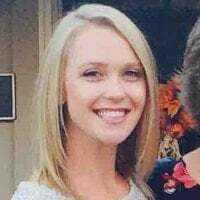 At Schools Insurance Group, wellness manager Amy Gonnella tries to time challenges for when it’s easiest for people to join – like after busy back-to-school periods. “We can't really ask to start a challenge right then, so we kind of wait a little bit, and we see a boost in participation,” Gonnella says. Need inspiration? 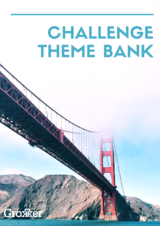 Download our Challenge theme bank with 50 proven ideas you can use year round. Pitfall 2: Your culture doesn’t support it. When challenges are successful, it’s often because companies genuinely care about creating a culture of well-being. If wellness challenges don’t fit into your culture, employees won’t feel supported in taking them on. Let’s say you set up a challenge asking employees to unplug from their devices after work – but their managers send them late-night emails that demand responses. That’s a challenge that will likely fail. The solution: Get leaders to support wellness – it will give employees permission to take care of themselves. For example, the leadership of U.S. Venture, a manufacturing company and Grokker customer, wants employees to avoid on-the-job injuries, so they created daily stretch breaks. If you create a challenge like this, ask executives to take part and show employees that exercise is valued. Pitfall 3: You’re not communicating enough. Think of the marketing “rule of seven”: People need to absorb an advertiser's message at least seven times before they'll take action. If you’re not promoting wellness challenges over and over, the messages won’t sink in. The solution: Create a seasonal calendar with exciting and changing initiatives throughout the year. Use several channels and touchpoints to reach out to employees, including email, blog posts, chair and desk drops, and Slack. Pitfall 4: You’re too old-school. Many employers are stuck with platforms that don’t deliver content in an engaging way. If you don’t use modern tools like social sharing and high-quality video, you’ll scare off millennial employees: The experience won’t match what they’re used to in their consumer lives. The solution: Look for a wellness program that includes tools like on-demand access on any device, gamification, and high-quality content. Keep in mind that employees are using all kinds of devices to aid in wellness, like smart watches and connected fitness devices. Your wellness challenges should be available through these devices, or at least incorporate them into challenges. At Grokker, we support our challenges across all mobile devices and laptops, and we sync with Garmins and Fitbits, so that everyone can take part. Pitfall 5: Your program isn’t personalized. It’s easy to create one-size-fits-all wellness challenges. But a generalized approach to wellness – where employees are all given the same resources and expected to fend for themselves – doesn’t encourage that other 90% to participate. Embrace every group of workers, so each one can find a wellness challenge that fits their needs. Off-the-shelf wellness programs are part of the past: The future is about services that offer guidance, empathy, and personalization.